Hi-Tech Power Systems was established in 1986 as a generator repair facility. Over the years we have grown to meet our customers requests by adding a variety of services for their many needs. Being a family owned business we know the concerns people have about finding an honest, well versed, repair facility that they can trust with their equipment needs. We strive to be the type of business we would feel comfortable with taking our own equipment to for repairs. Our employees sense of pride in their work promotes this same idealism. In 2004, we opened our branch location in North Augusta, SC. With the addition of this facility we offer full service truck and trailer repair, in shop or on site. We look forward to hearing from you soon at either location. 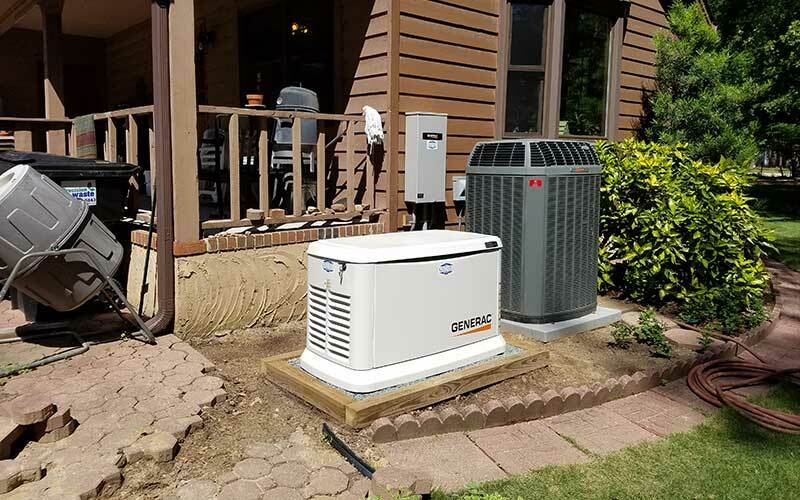 Home standby generators can be included when you build your new home or added after the fact. There are many options we can assist you with.